A rare find in the TL Hanna school district! 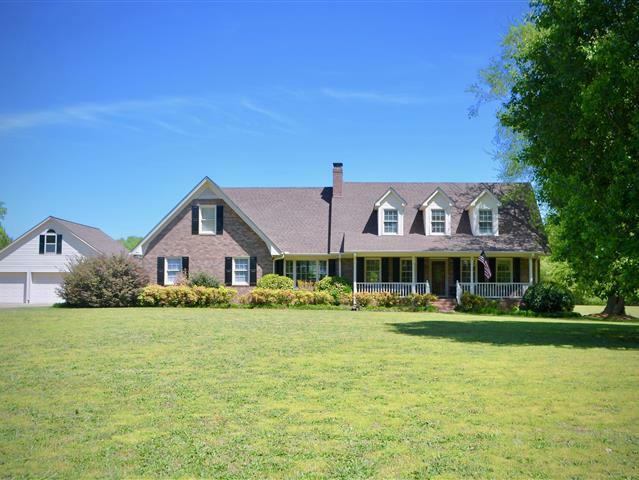 This beautiful brick, two story home is situated on 4.10 acres w/ detached garage. This captivating home has approx. 2700 sq. ft. & features 3 bedrooms & 2.5 baths. The master suite is located on the main level along w/ a sunroom, spacious family rm, large kitchen w/ granite counter tops, center island & dining area. Hardwood floors throughout. 2 beautiful rock fireplaces in the kitchen & family rm provide a rustic, warm feeling in the home. On the second level you will find an oversized bonus rm w/ gorgeous hardwood flooring, Jack and Jill bathroom and two spacious bedrooms. If you need storage space, you will have it here! Along w/ plenty of walk-in attic storage, there is a 30 x 30 detached 3 car garage w/ overhead storage. Plenty of room for cars, boat & a workshop. Come & explore the property & take in all the beauty that surrounds this home. Close to shopping, YMCA, AnMed health campus & more. 10 minutes to I-85 and Hartwell Lake.